The entrance to Aeolus Cave. 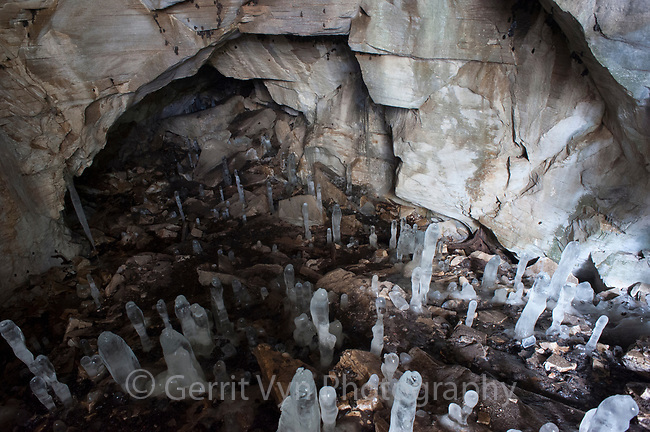 Tens of thousands of bats decimated by white-nose syndrome litter the cave floor. Bennington County, Vermont. March.